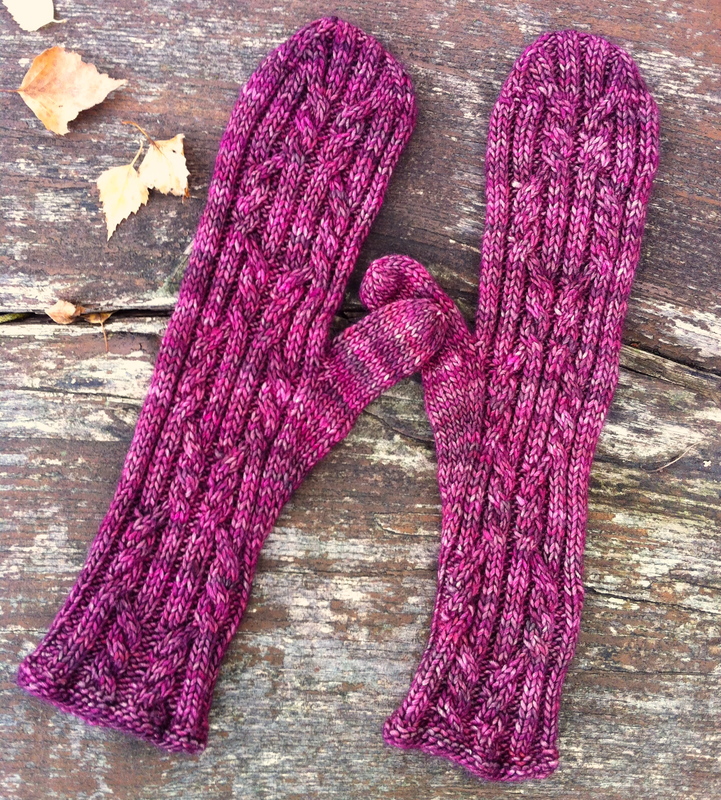 After knitting the mittens for my daughter, I decided that I would make a pair for myself, but with a different cable pattern and in a new-to-me yarn. After all, it was October, and the mornings were getting a bit chilly. The pattern is up for sale in my webshop. Danish version only, for the time being. 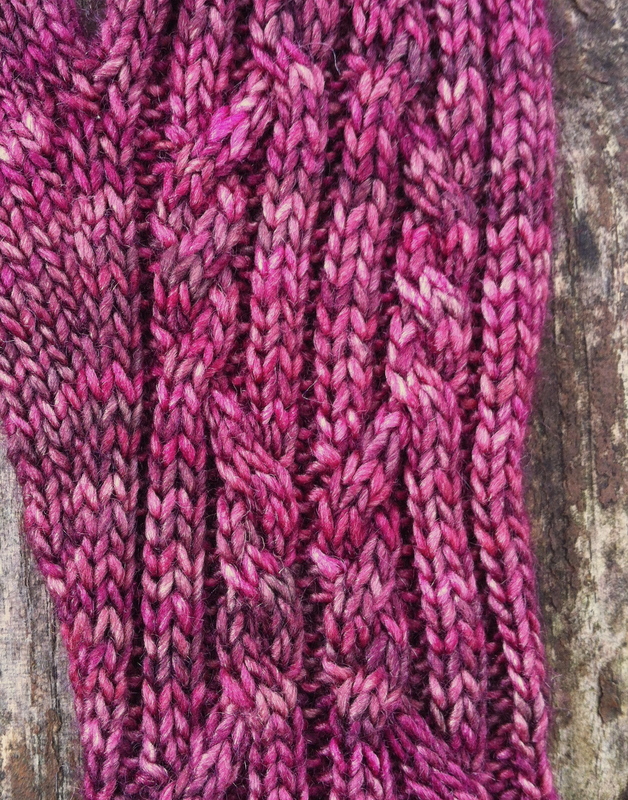 The yarn is also to be found in my webshop. Malabrigo Silky Merino is a wonderfully soft singles yarn, 51% merino wool and 49% silk. Knits on needles 3,5 to 4 mm. There are 17 beautiful hand painted semisolid color ways to choose from! The cable pattern was easy to knit. 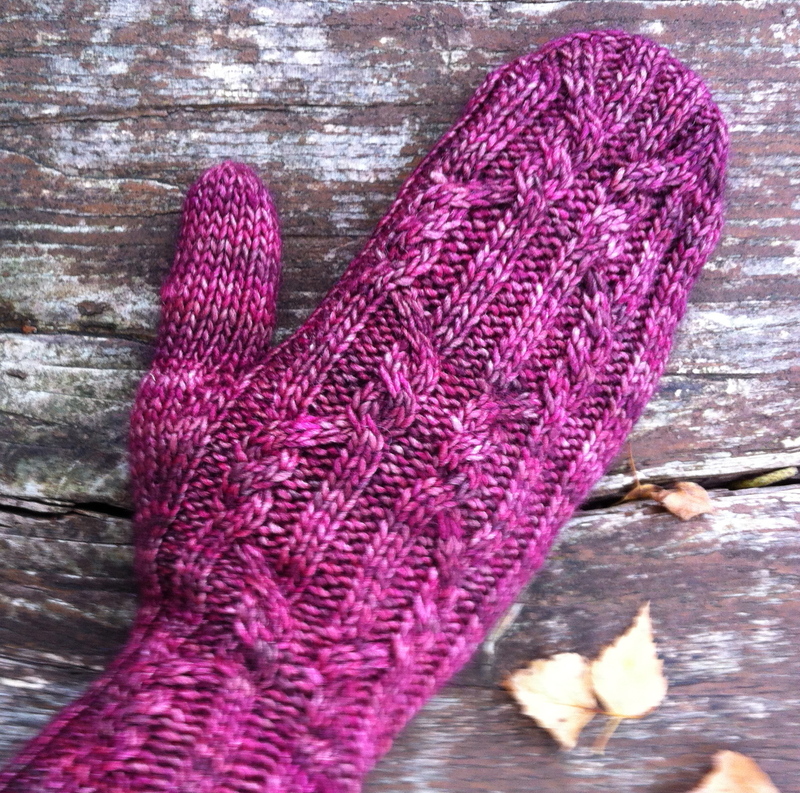 I have used the color named “Jupiter” for my mittens, and I used only one skein. Næste indlæg: Special offer this month! De er rigtig lækre og ser varme ud! Kan garnet købes i Danmark? Hej Karen. Tak 🙂 Ja, garnet kan k�bes i min webshop: garngalleriet.bigcartel.com – Find garnet i menuen til h�jre! Nåehh ja…nu har jeg set det på din webshop.